Since near the beginning of this year, I’ve been spinning a lot of the self-titled debut from Australian duoBag Raiders. Today marks the release of their album on this side of the pond and they want you to get hooked by hearing the first single “Sunlight” (featuring Dan Black). We posted the video a little while back, now head to RCRD LBL to download the infectious “Sunlight“. The whole record is streaming at Spinner. Even though I stated it at the end of last year, I’d consider myself to be official back on the site today. I was up north and a couple days out of the loop on what was going on. Seems as if I had a little FOMO, but while I tried to follow up my post on Little Jungles, I realized I was on vacation and the better part of me kept me there, until today. -to find the best new music out there and post it regularly. -to add a little more personality on here. I’m guilty of quick posts in 2010. This year I’ll work on my voice. Here’s to starting off the new year with great songs and videos to go with them. Sunlight is the 2nd single proper fromBag Raiders self-titled debut album starring Coco the magic monkey, directed by Fleur&Manu. 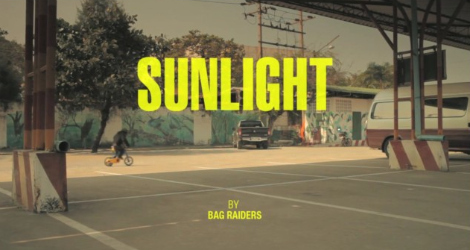 Bag Raiders – ‘Sunlight’ from Modular People on Vimeo.